This is the latest skincare concept, handmade by fusing natural ingredients with a shot of steam, hence the name. 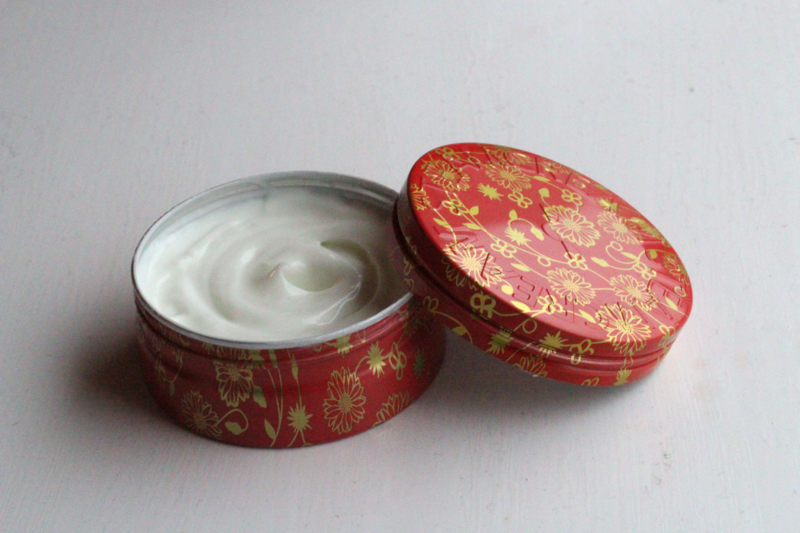 The cream is extremely lightweight and due to the tin packaging it feels cold and fresh when applying it which is my favourite aspect of the product. I have been using it every night for the past month, as I have combination skin I don’t like using anything too heavy so this is perfect it feels so refreshing and light but also thoroughly nourishing. It’s packed full of antioxidants, Vitamin E and cocoa butter. My only reservation is the fragrance, it reminds me of the Sudocream smell which I’m not a massive fan of, however it fades quickly and I don’t really notice it anymore. The size of the (pretty) tin also allows for this to be used on hands, so it’s two moisturised thumbs up! Which moisturised is you number 1 right now?